From the artist: “Andamento” is the visual movement or rhythm produced by mosaic elements. Similar to the patterns formed by leaves, ridges in a tree’s bark, or a series of clouds in the sky. 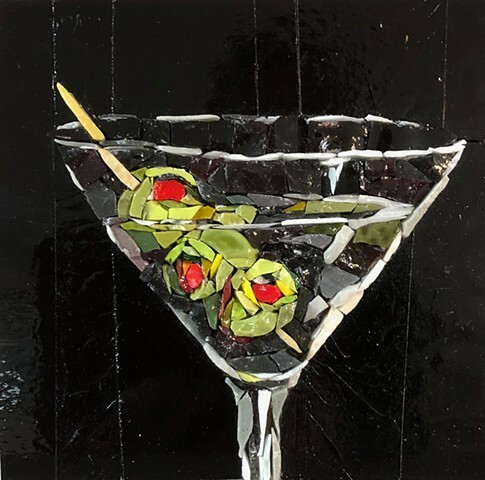 By leading the viewer through the contours, ebb and flow of the subject, a mosaic artist creates the feeling of a subject through choice of materials, colors and elements. My work is a combination of modern and ancient materials, still using stone, glass, hammer and chisel. I am dedicated to preserving the tradition of mosaic art, along with the techniques and materials used in the past. One must study and remember the past to be informed for the future. FREE with purchase of a $5 admission to the Rochester Art Center. Your Saturday at the Rochester Art Center just got a little bit better. 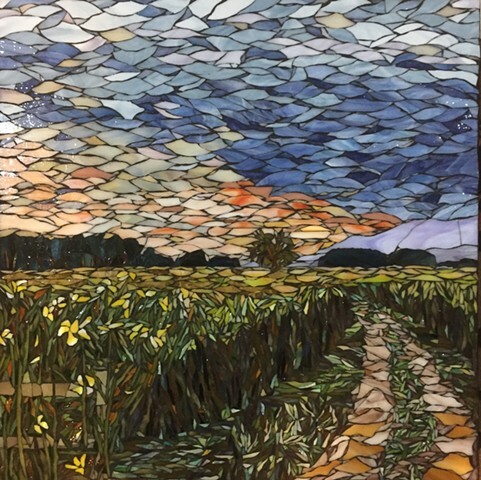 Free with purchase of your RAC admission, drop-in on professional artist, Debra DSouza, as she creates a beautiful mosaic piece using tools such as specialized hammers and chisel, tile nippers and unique materials. These materials have been used in mosaic making for centuries. 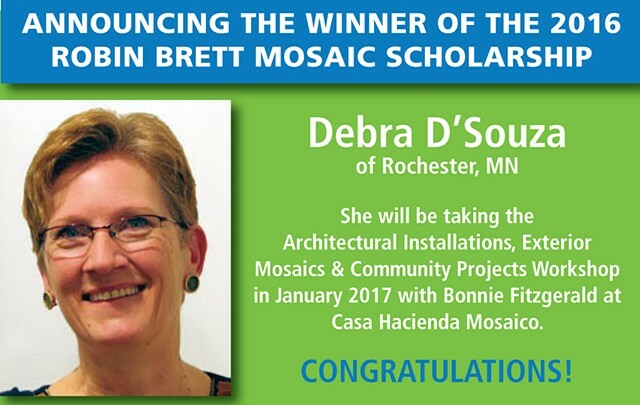 Talk with Debra one-on-one as she works; all questions are welcomed about her modern take on an ancient mosaic practice. "One must study and remember the past to be informed for the future." This workshop is an introduction to traditional mosaic. Students will learn how to use the basic tools and materials of this ancient art form. One such material is Italian Smalti. Smalti is a traditional enameled-glass mosaic material with highly reflective qualities and a wide range of colors. This material has been used for more than one thousand years throughout the world to produce beautiful mosaic artwork. Students will learn to cut and shape Smalti, stone and even gold, to make their own small work of art. Students will work with the “river of Smalti” and make a small color study, inspired by the artwork of Kandinsky. Class will start at 10:00 with a short presentation and then we will begin creating. All supplies, tools and design will be furnished as part of your materials fee. 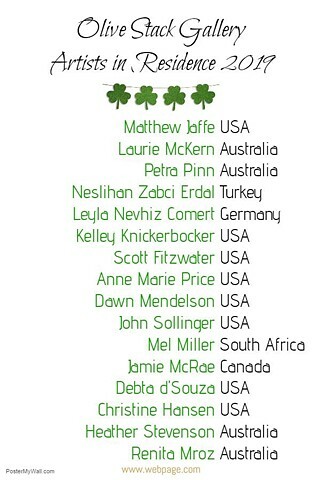 Selected with my sister Christine Hansen to be artists in residence at Olive Stack Gallery, Listowel, Ireland. Mosaic Work "Lilies and Tulips" was selected as part of the permanent collection in the Luther Hospital Fifth Floor expansion project. My mosaic work, "Fall Along the River" was featured on the Cover of Volume One Magazine, October 19, 2016 issue. This magazine highlights activities in and around Eau Claire, WI and surrounding area. This invitational exhibition showcases the works of students in The Chicago Mosaic School’s Certification Program, the only mosaic art program in the United States. Certification students are engaged in an intense practice of mosaic technique and voice through education and critical discussion. This Exhibit runs from April 15- June 25, 2016. My Ancient Pear was selected as part of this exhibit. The exhibition opens tomorrow evening, 5:30-7:00 and will be up from July 6th - July 21 in the Hage Atrium, Siebens Building, Mayo Clinic, 200 1st ST SW, Rochester, MN. My mosaic work was part of an exhibit at the 310 Gallery in Stillwater, MN. Put together by the Minnesota Mosaic Guild in March/April of 2014. The show was well attended. I have participated in a collaborative exhibit with University of Eau Claire professor and Barbara Shafer. This exhibition was May of 2011 at the Eau Claire Regional Art Center. It was an exciting opportunity and have developed several positive connections from the experience. I was able to show a wide variety of work, including oil, pastel and watercolor botanical subjects. The opening reception will be held on June 24, 6 to 8 pm. Approximately 40 botanical paintings will be on display by members of the GRC. Thirty artists from the MSBA have made paintings of hosta leaves that will be on exhibit during the national conference of the American Hosta Society at the Sheraton Hotel, Bloomington. The Society will award ribbons to the most accurate paintings. The paintings will be for sale with a portion of the proceeds going to the Hosta Society and the MSBA to establish a scholarship fund. The exhibit is open to the public on June 24 from 12 noon to 5 pm in the Veranda rooms on the second floor of the hotel. I am currently displaying a small still-life oil painting at the Minneapolis Art Institue's "Foot in the Door" exhibition. This exhibition runs through June 13th in the Minnesota Artists Exhibition Gallery. You can find a photo of my painting on the Institute's website.